(TibetanReview.net, Mar01, 2018) – Two Tibetan youths were severely injured after they were attacked by some local youths at a small refugee settlement in Satuan Village of Sirmaur District in Himachal Pradesh state, India, on Feb 25. The immediate cause was stated to be the locals’ objection to the formers’ speaking between themselves in Tibetan. Altogether seven people were reported to be injured during the incident which continued that night and on Feb 26. Indian media reports cited DSP Paonta, Pramod Chauhan, as saying some Tibetan youths had allegedly thrashed two local boys and damaged their motorcycle after some altercations which took place at a dhaba (eatery). 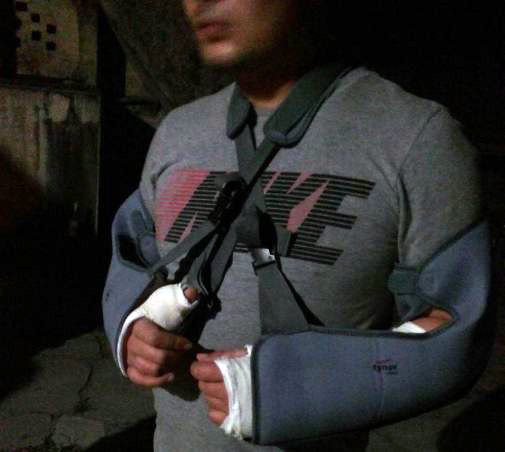 Whatever be the case, later that night, four Indian men reportedly entered the Tibetan refugee settlement of less than 50 families and beat up some youths, leaving one with both his arms broken. And the next morning, more than 50 Indian men entered the Tibetan settlement, armed with sticks and terrorized the residents. 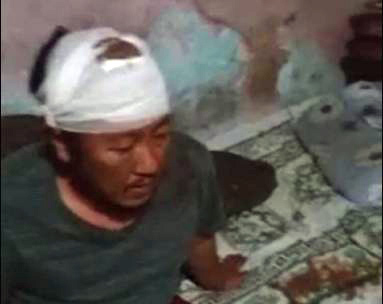 A deaf Tibetan resident was reported to have been left with a severe head injury while another Tibetan youth ended with a broken bone protruding from his leg. Altogether seven people were reported to have been injured, including four Tibetans. Both the sides have filed police reports. Police force has been deployed in strength, with patrolling being carried out at the Tibetan settlement, which is situated in the outskirts of the Poanta town, near the border with Uttrakhand state. The PTI news agency Feb 26 cited local resident Mohan Lal as saying tension between the locals and the Tibetans was already brewing over the past few weeks after a spat. Paonta MLA Sukh Ram Chaudhary was reported to have visited the injured in hospital and appealed to people to maintain peace and harmony. I’m writing this comment not to make a point but to create better awareness of the Indian culture amongst the people of Tibet who’re in exile. The people of India are infact the most resilient to my knowledge.No other race of people can match with the level of tolerance that the Indian culture is capable of bearing. With that being said, we ought to understand the Indian culture & it’s value system from the grass root level. This can be done not only by interacting with the locals on daily basis but also to take that understanding to the next level by inculcating the teachings of Hinduism & it’s value stystem,for instance putting a chapter of Gita in the school textbooks,also to teach Hindi for longer duration. Afterall,it is in the languages & understanding of the value systems that we get the closer look.